In Mathura, 109 static magistrates have been deputed in sensitive centres while 27 sector magistrates would also be deputed as a counter check on centre superintendents. “Prohibitory orders under section 144 have been promulgated with ban on outsiders within a periphery of 200 metres, and the entire district has been divided into three super zones, 7 zones and 27 sectors,” District Magistrate Sarvagyab Ram Mishra said. Seven flying squads would operate in the district during examination, the DM said. Similar arrangements have been made in other districts too. All the exam centers will be under the surveillance of CCTV cameras. UP Deputy Chief Minister Dinesh Sharma had said in October 2017 that strict measures will be taken to curb cheating and that the government will make efforts to wrap up the examination within a month. 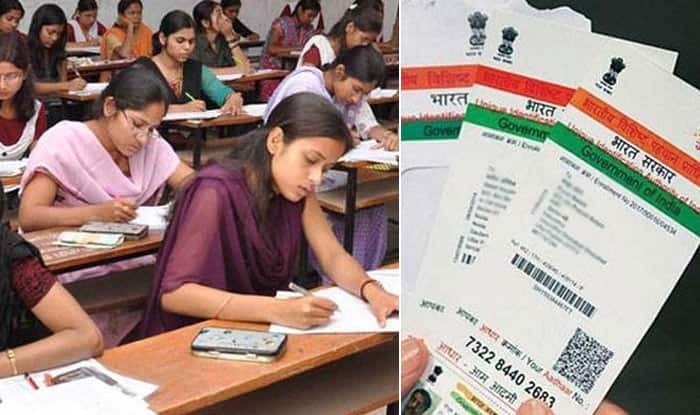 The students appearing for Class 10 and Class 12 Uttar Pradesh board exams will have to carry their Aadhaar cards along with admit cards to sit in the board exams. The students who fail to carry their Aadhaar cards will not be allowed to sit for the exams. Need for using Time Constraint Class -2 in "Specify Examination Type"